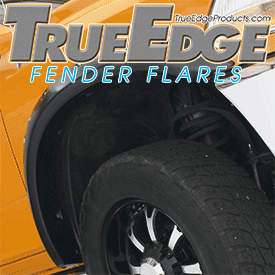 True Edge Products began as a truck and SUV line of fender flares. We have now expanded our product line to automotive spoilers and molding. We offer 3 great programs to fit your specific needs and provide simple integration for your business. We offer 4 distinct styles of flares with each style offering it’s own unique size and look. True Edge flares are available in 4 finishes that give you the tough off road finish all the way to an OE look. True Edge offers over a hundred applications for the most popular trucks and SUV’s with more applications on the way. 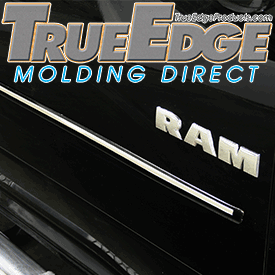 True Edge Molding Direct is our line of pre-cut, pre-painted body side moldings. No matter the year, make, model or paint color, we have a body side molding thats right for any vehicle. Our moldings are cut to fit the area most likely to be damaged from door dings and other parking-lot mishaps. Painted to match the paint code and made of materials that will last the life of the vehicle, our moldings are the perfect protection add-on.